Eton mess is my favourite dessert and this combination of flavours is just heaven. Light and creamy, full of flavour and low in sugar, this dessert is the perfect choice for summer! 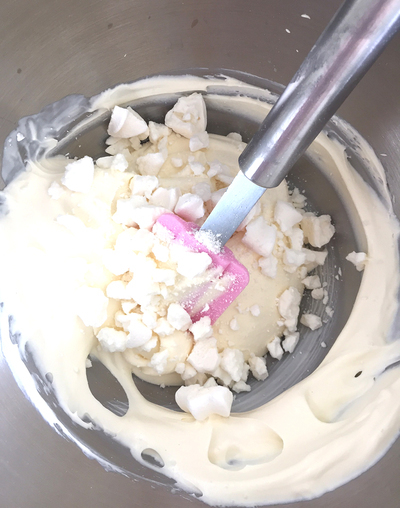 It is so easy to prepare and the only preparation would be to make the meringue before hand or you can cheat and use store bought meringue too! Whip cream with sugar and vanilla essence until nice and thick. Fold in yoghurt and broken up meringues. Peel one mango and cut in to thin slices. 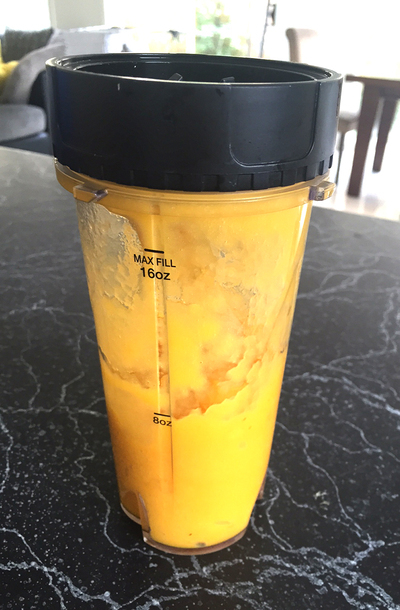 Peel and cut up the other mango and place in a blender. Blitz until it becomes puree. 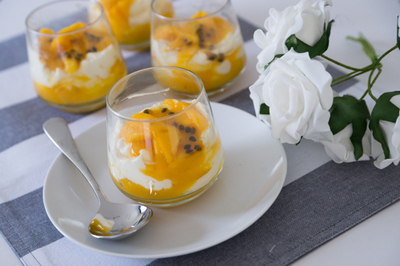 Layer the mango puree in the bottom of four serving glasses. 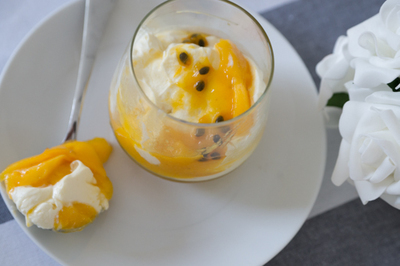 Halve the meringue mixture and then layer on top of the mango puree in the glass. Do the same again, layering more puree and more meringue mixture. Top each glass with some of the finely chopped mango slices and passionfruit pulp.